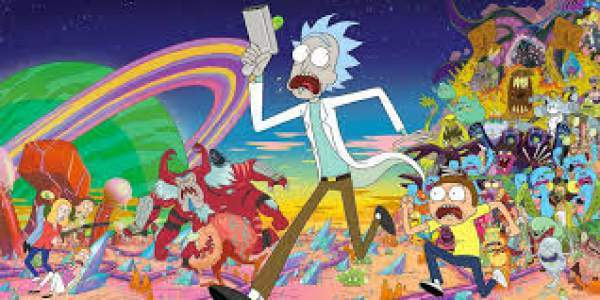 Rick and Morty Season 3: The episode 8 will release next week, September 17, 2017. Until then, keep yourself engaged with its spoilers and predictions. RnM S3E7 aired on September 10 and was one of the best episodes of the anime series so far. Now, fans are wondering what would they see in the upcoming segment. A trailer has been released for the season 3 episode 8 of Rick and Morty series. The promo reveals what the fans will get to watch in it. They get a glimpse of it. As seen in it, both are going to steal something very important from an unknown place. Morty will end up getting sick because of it. In the teaser, we can see Morty and Rick running away after stealing really important. And someone is chasing them as they run. It was really a weird place upside down and has many stairs – from where they stole that particular stuff. It looks like they traveled into some world or maybe another dimension. And now, they appears to be in serious trouble. Later on, we see Morrty carrying a turtle with three eyes of different colors. There are lots of turtle tortoises’ statues in the scene. Judging by that scenes, apparently, they have stolen the Truth Tortoise who is worshiped in that world. And now, they are stuck in that dimension. As they run carrying the Truth Tortoise, Rick warns Mortty neither to drop it nor to look directly into its eyes. It’s because if he looks into them, he will know everything. But, Morty has already looked into the turtle’s eyes as expected. There’s won’t be fun if he doesn’t do some mischievous activities. Then, the scene shifts to Mortyy feeling sick. It’s because the Truth Tortoise gets into his head. After that, Rick takes his grandson to a laboratory to help him get rid of this problem. Going by it, it seems that some past revelations about Morty would come into picture as he now knows everything. Rick and Morty season 3 episode 8 will air on 17th September 2017, Sunday, at 11:30 ET on Adult Swim and AdultSwim.com. It is titled as Morty’s Mind Blowers. Here’s how to watch online. You can catch the latest updates on Sling TV, DirecTV Now, and PlayStation Vue as they all stream Cartoon Network / Adult Swim live. To watch past episodes/seasons, you can buy Blu-ray discs. Share your thoughts with us via comments. Stay tuned to TheReporterTimes for more anime news.